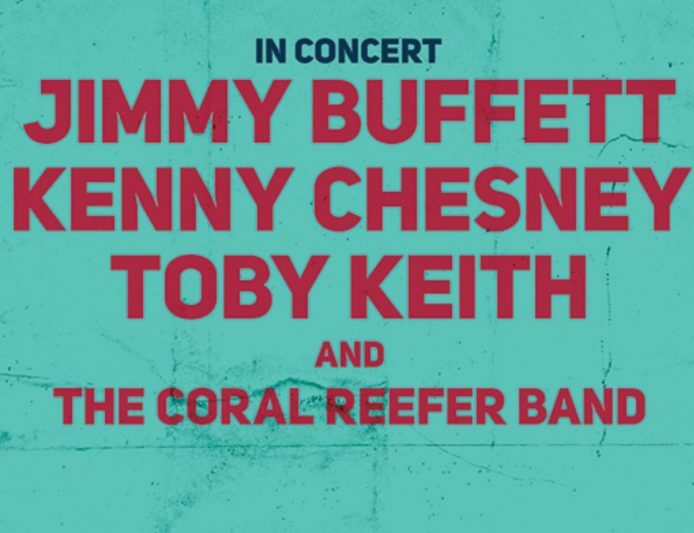 Jimmy Buffett, Kenny Chesney, and Toby Keith together with the Coral Reefer Band will unite to perform at a Florida Hurricane Benefit Concert. The benefit concert will take place one night only on Sunday November 19, at 7 p.m. at Donald L. Tucker Civic Center in Tallahassee, Florida. Proceeds of this benefit concert will help communities in Florida, Puerto Rico, and the islands affected by hurricanes in 2017. “Florida State University was fortunate to be spared from the worst of Hurricane Irma, but we know that was not the case for many of our fellow Floridians,” Florida State University President John Thrasher said. Tickets available online here, at the Donald L. Tucker Civic Center Box Office or charge by phone at (850) 583-4871. Ticket prices subject to applicable fees.